The November 2016 demonetisation impacted economic activity in the country in the immediate aftermath, affecting the GDP numbers for that fiscal, while the measure's impact had dissipated by the summer of the following year, according to a study published by the US think-tank National Bureau of Economic Research (NBER). The NBER working paper titled 'Cash and the Economy: Evidence from India's Demonetisation' is auhtored by Harvard Professors Gabriel Chodorow-Reich and Gita Gopinath, along with Prachi Mishra, who is currently Managing Director at Goldman Sachs in Mumbai, and the Reserve Bank of India's Abhinav Narayanan. Gopinath, a noted economist, is set to take charge next month as Chief Economist at the International Monetary Fund (IMF). "Our results imply demonetisation lowered the growth rate of economic activity by at least 2 percentage points (pp) in the quarter of demonetisation," the report said. "The cross-sectional responses (surveyed) cumulate to a contraction in employment and nightlights-based output due to demonetisation of 2 pp and of bank credit of 2 pp in 2016 Q4 (January-March) relative to their counterfactual paths, effects which dissipate over the next few months," it said. India's GDP growth rate slowed to 6.1 per cent in the fourth quarter of 2016-17, from 7 per cent in the previous quarter, reflecting impact of demonetisation on key sectors. GDP had grown at a marginally higher rate of 7.3 per cent in the second (July-September) quarter before demonetisation. The country's Gross Domestic Product during the entire fiscal in consideration grew at a lower rate of 7.1 per cent. "Districts experiencing more severe demonetization had relative reductions in economic activity, faster adoption of alternative payment technologies, and lower bank credit growth," the study said. It estimated India's economic activity to have declined by over 3 percentage points in November and December 2016, adding, however, that the effects of demonetisation were dissipated over the next few months. Referring to other studies in this regard, the paper compared the magnitude of the peak effect on output of the note ban, which saw 86 per cent of extant currency notes being withdrawn from circulation, to the equivalent of around a 200 basis point tightening of the monetary policy rate. "We conclude that while the cashless limit may appropriately describe economies with well-developed financial markets, in modern India cash continues to serve an essential role in facilitating economic activity," it said. Although focused on the short-term impact of the measure, the study also said that its longer-term consequences may include higher tax revenue and a shift to digital modes of payment, all of which would require more research for validating. "There may be longer-term advantages from demonetisation that arise from improvements in tax collections and in a shift to savings in financial instruments and non-cash payment mechanisms," it said. The study employs innovative methods of judging economic activity, including satellite images of lights at night, especially for the informal sector. It used a "new household survey of employment" and "satellite data on human-generated nigtlight activity", apart from other datasets to measure the fallout of demonetisation at the district level. "If trend growth in India was 1.5 per cent per quarter (6 per cent per year), then our estimates imply an absolute decline in economic activity of about 0.5 per cent in 2016 Q4 from the previous quarter," it said. "This follows from the 3 per cent decline in November and December and no impact in the pre-demonetisation month of October." The report explains that the decline in output does not "obviously materialise" in the offcial GDP data released by the Central Statistics Office (CSO). "As already mentioned, national data are volatile and subject to other shocks, making it difficult to discern a single break-point around demonetisation," it said. "Moreover, our measures of real activity have the advantage over official GDP of directly incorporating informal sector activity. The informal sector in India is estimated to account for 81 per cent of total employment (ILO, 2018) and 44 per cent of total output (CSO, 2018) and is especially cash-intensive." According to the model adopted by the study, demonetisation amounts to a forced conversion of cash into less liquid bank deposits, which in the presence of downward wage rigidity, results in a decline in output, employment, and borrowing by companies. "We use our model to show these cumulated effects are a lower bound for the aggregate effects of demonetization. 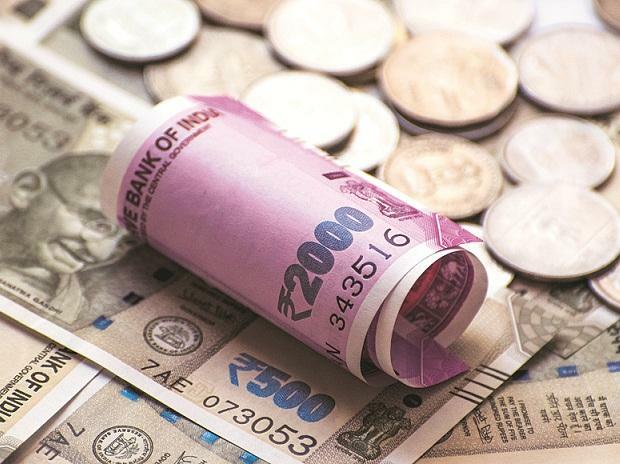 We conclude that unlike in the cashless limit of new-Keynesian models, in modern India cash serves an essential role in facilitating economic activity," the authors said.